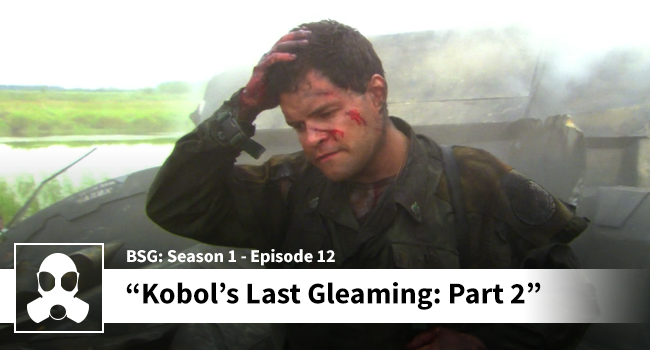 Matthew had a few gripes with the finale, but his mind is “spinning with Cylon conspiracy thoughts” and he can’t wait to hit you with his theories. Dean recalls the first time he watched this episode and the level of excitement he felt when Adama and Rosalyn went head-to-head. Dean is also a big fan of Chief Tyrol and Colonel Tigh this week. Overall, a great dramatic finish! This entry was posted in Battlestar Galactica Podcast. Bookmark the permalink.